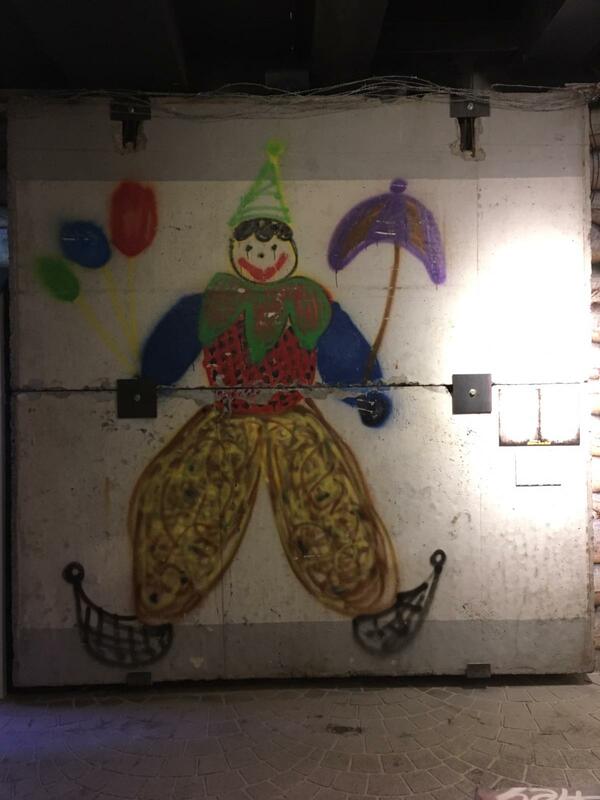 Believe it Or Not, Ripley’s Museum from Amsterdam can show you some parts from the Berlin Wall before its fall in 1989. After seeing many masks from tribes which served in rituals, you will hear a sound that will trigger your senses. Between shadows, the figure of Charlie will appear. Too hard to believe? Come and see with your eyes by paying a visit in Dam Square! Whether the day of 3rd of October 1990 say something to you or not, it is a good time to recall some visual informative images in mind because many times beauty itself comes after a period of darkness and transformative experiences. Back to this day, on 1990, he Federal Republic of Germany and the Democratic Republic of Germany united to create one single, federal Germany. It is a day off for the general population, and schools and most businesses are closed. Each year a different city hosts the national celebrations. Many mosques in Germany are open to the general public on October 3. This is an initiative to stimulate contact between Muslims and non-Muslims and to emphasize the role that Muslims played in forming modern Germany. Erected in the sparkle of the night of August 13, 1961, The Berlin Wall, known as “Berliner Mauer” was a physical division between West Berlin and East Germany, in order to keep the east population from fleeing to the west. For 28 years it became the symbol of the Cold War and the Iron Curtain between Soviet Led Communism and the democracies of the West. At the end of the second World War, the conquered Germany was divided into four zones. They were occupied by either the United States, Great Britain, France or the Soviet Union. The relations between the three allied powers and Soviet Union disintegrated quickly, giving birth to tension and to an aggressive atmosphere. One well known incident was the Berlin Blockade in June 1948 when Soviet Union stopped all supplies from reaching West Berlin. Even if Berlin had been situated entirely within the Soviet occupation, its division made obvious the difference between a communist East Germany and an island of democracy in the Western part. The total length of the Berlin Wall was 91 miles. The last transformation of the wall was the most important, constructed between 1975-1980. It consisted in concrete slabs reaching nearly 12-feet high and 4 feet wide. There was also a pipe running across the top to hinder people from scaling it. 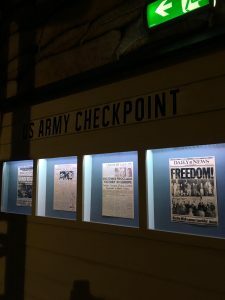 Another important aspect is represented by the checkpoints of the wall. Even if most of the border between East and West consisted of layers of preventative measures, there existed some official openings. The checkpoints were created for officials and other people with special permission to cross the border. One of the most famous was the checkpoint Charlie located on the wall at Friedrichstrasse. It was the main access point for the Allied personnel and Westerns. Believe it Or Not, the Berlin Wall prevented the majority of East germans from emigrating to the West, but not successfully. During its existence it is estimated that around 5,000 people made it safely across. In the ‘60s, East german soldiers could follow Schiessbefehl, an order which allowed them to shoot anyone trying to escape. Within the first year, 29 people were killed. It is estimated that between 192 and 239 people died at the Berlin Wall. Remember about the figure of Peter Fechter? As he was about to scale the wall, a guard opened the fire. Fetcher ran out of energy just as he reached the top. He then tumbled back onto the East German side. To the shock of the world, Fechter was just left there. The East German guards did not shoot him again nor did they go to his aid. He shouted in agony for nearly an hour. Once he had bled to death, East German guards carried off his body. He became the 50th person to die at the Berlin Wall and a permanent symbol of the struggle for freedom. The fall of the Berlin Wall happened nearly as suddenly as its rise. There had been signs that the communist bloc was weakening but the East Germany Communist leaders insisted that East Germany just needed a moderate change rather than a drastic revolution. Russian leader Mikhail Gorbachev was attempting to save his country which made himself renounce to some other countries which served as connective tissues. In East Germany protests against the government occured by threats of violence from its leader, Erich Honecker. In October 1989, he was forced to resign after losing the support from Gorbachev. When his place was taken by Egon Krenz, the travel restrictions from East Germany were loosened. The first meeting of Mikhail Gorbachev and the Chancellor of the Federal Republic of Germany Helmut Kohl was held on 24 October 1988. When asked about a possibility of Gorbachev offer of reunification of Germany, Kohl replied: I am not a writer of futuristic novels like Wells. What you ask me about, is rather something of the Empire of Fantasy. 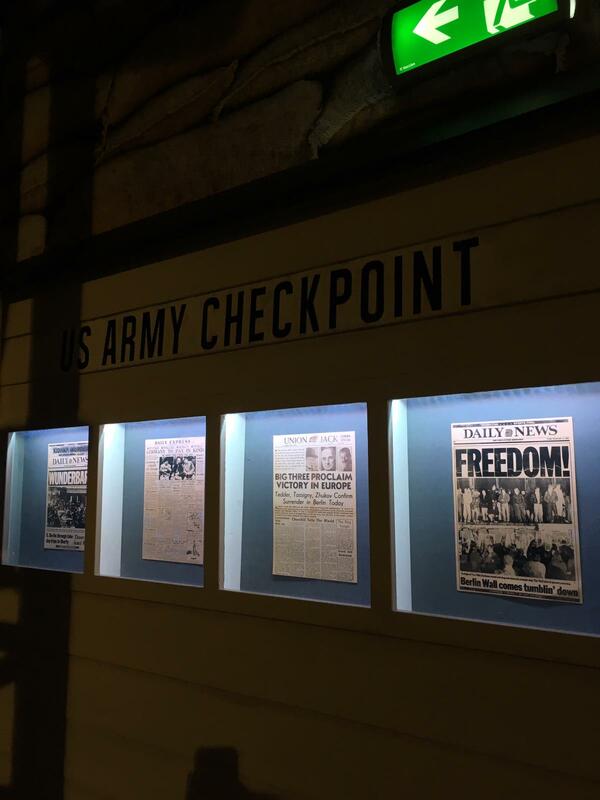 Suddenly, in the evening of November 9, 1989 they were announcing that all the border ‘s checkpoints were opened. The Berlin Wall was chipped away into smaller pieces which are stored in museums and homes. The Fall of the Berlin Wall inspired Jean Luc Godard to create the movie Allemagne année 90 neuf zéro/ Germany Year 90 Nine Zero. Discover his philosophies through the eyes that contemplate the nature of history. Godard’s heart lies clearly with the East, despite its failings, rather than with the glittery, ultra-materialist West, and there are flashes of his characteristic bleak humor. “Germany Year 90 Nine Zero” is tremendously moving even when you know that there’s probably lots that’s whizzing right past you. Nobody has the intention of building a wall. ( GDR head of state Walter Ulbricht on June 15, 1961 in a press conference in East Berlin). The Wall was brought down, not by Washington or Moscow, but by courageous people from the east. ( Gerhard Schröder, Chancellor of Germany from 1998 to 2005). The Wall was an edifice of fear. On the November 9th… it was a place of joy. ( Horst Köhler, President of Germany from 2004 to 2010). The Wall will be standing in 50 and even in 100 years, if the reasons for it are not removed. ( Erich Honecker, GDR head of state, January 19, 1989).